The venue at Stanmer Park is usually a favourite of Belgrave Harriers with happy memories from the last visit in 2015 when both men and women’s teams won silver team medals. This year, however, proved very different. Travel to the venue proved lengthy with both rail replacement and M23 closures, in fact, some clubs didn’t even bother to come. The course far softer than three years before became increasingly difficult as the afternoon progressed with drizzle before the start of the women’s race becoming increasingly heavy throughout the rest of the afternoon. By the end of both women’s and men’s races, the surface had become very muddy. The highlight of the afternoon was my teammate finishing in 6th place by Sophie who moved up on the first of the two large laps to track the leading group of five. Saron Haileselase started well, looking strong on the hills and flying on the downhill sections. On the first lap she was lying roughly in the top twenty which would have put the Belles higher up in the finishing teams. However, on the far side of the course on the second lap she was struck with agonising stitch on the sharp downhill section and had to pull out finding it difficult to breathe. She was helped and driven back to the Belgrave tent by St John Ambulance very upset. I sadly witnessed this coming round on my last lap and knew I needed to finish to give the team the best finish possible. Also, a lot lower down in the field than I wanted feeling sluggish and tight from the long car journey sadly and previously finished this race in 16th & 19th. I had a blinder three years ago and usually love this course with its rolling hills and fast downhill sections. Not this year though. Still building up fitness after a long period illness, lacking any training over the hills/ offroad in prep for 100k. Safe to say I struggled in the slippery mud but nevertheless stuck to the task and gave her best in her usual determined fashion. AFD 33, 2. C & C 68, 3. Serpentine 148, 9. 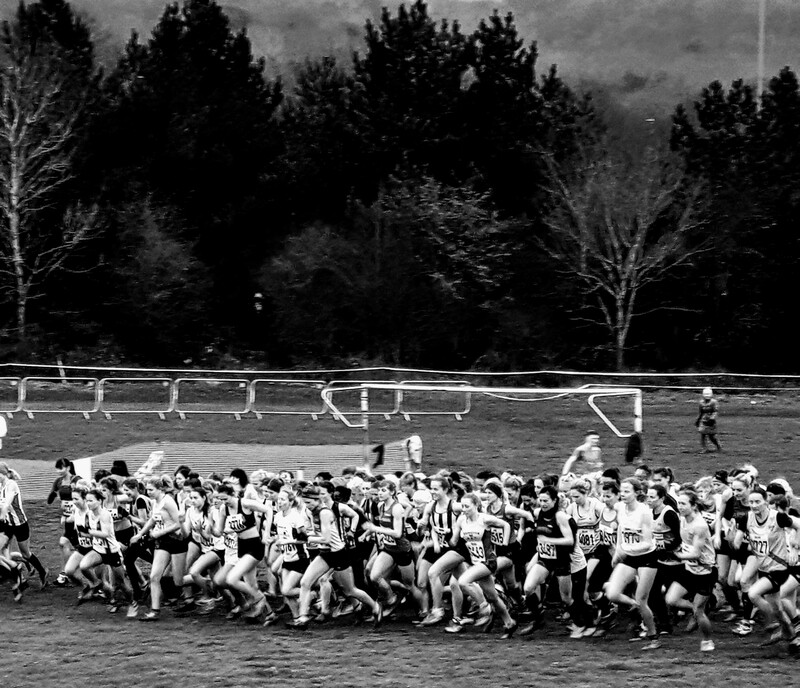 Belgrave Harriers 271.